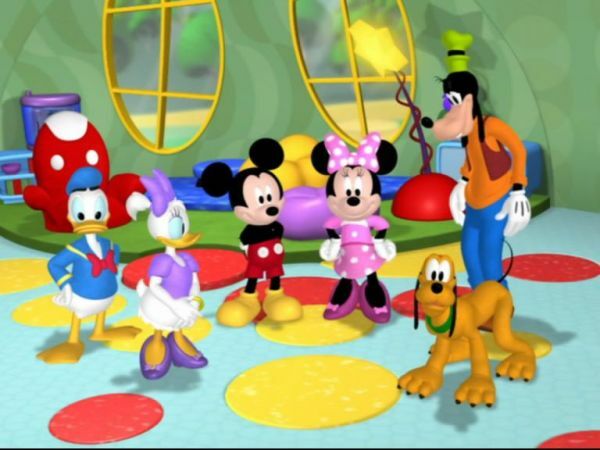 MICKEY MOUSE: Welcome to our clubhouse. Ooh, say, do you like to sing? Well, I love to sing. MINNIE: La la la la DAISY: Did somebody say sing? DONALD DUCK: Me, me, me, me, me. we're gonna sing on the Clarabelle TV show. MINNIE: Uh-huh. And our friends and families are all going to be watching. GOOFY: Gosh, I'm so nervous. DAISY: Not me. I'm ready for my close-up. PLUTO: Yeah, yeah, yeah, yeah. DONALD DUCK: Me too. ALL: Forever let us hold our banner high High, high, high. DONALD DUCK: High... hiccups MINNIE: Oh, Donald. DONALD DUCK: Hiccups DAISY: You got the hiccups. DONALD DUCK: No, I... don't. hiccups Oh, brother. 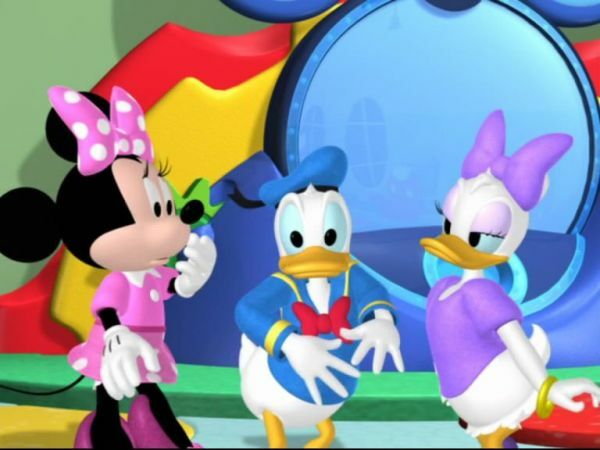 MINNIE: Oh, Donald, we've got to get rid of your hiccups. DONALD DUCK: Why? DAISY: Because you can't sing with the hiccups. 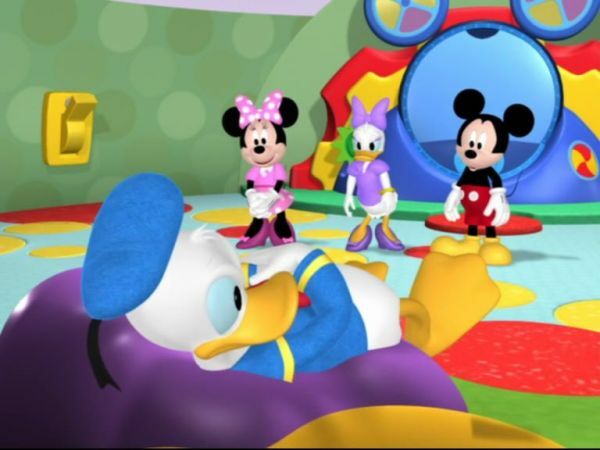 DONALD DUCK: Oh, sure I... hiccups can. Watch this. Row, row, row your boa... hiccups Gently down the street... hiccups Oh, phooey. MINNIE: Oh, poor fella. DAISY: Mickey, what are we going to do? 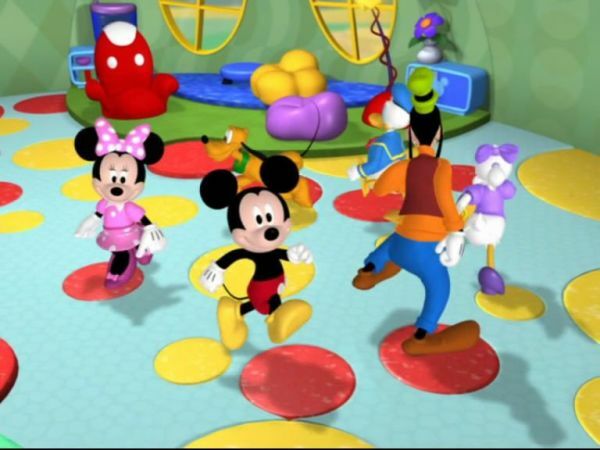 we have some special guests for you today: it's the Mickey Mouse Clubhouse singers. MINNIE: Oh, Mickey, we can't sing with these hiccups. DONALD DUCK: Oh, now we'll never get to be on television. 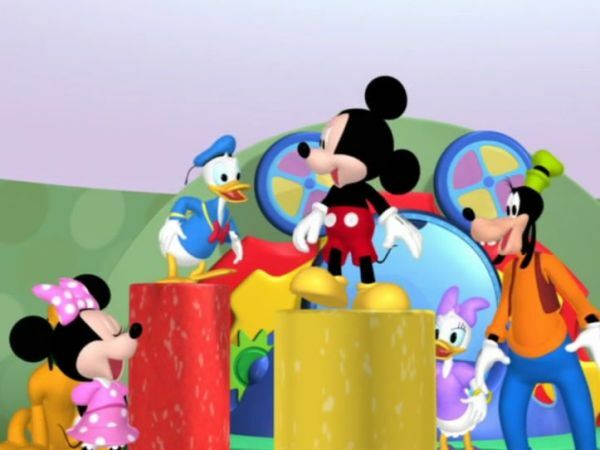 MICKEY MOUSE: Looks like we're gonna need some help from our friends. Will you help us get rid of...? MINNIE: Of our hiccups? DAISY: So we can all sing... hiccups You will? 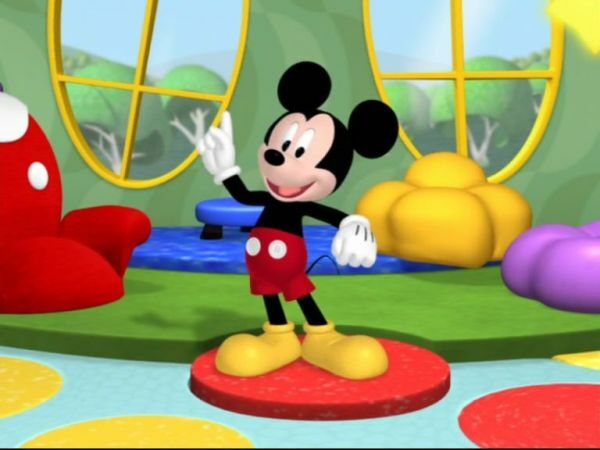 MICKEY MOUSE: Hot diggity dog. MINNIE: Come on, everybody... Oh.